Chicken salad’s one of those quintessential lunch items that has stood the test of time. We all have our favorite recipes — in my house, it’s usually the one with the bacon (go figure) — but even the most favored chicken salad can get boring quickly. 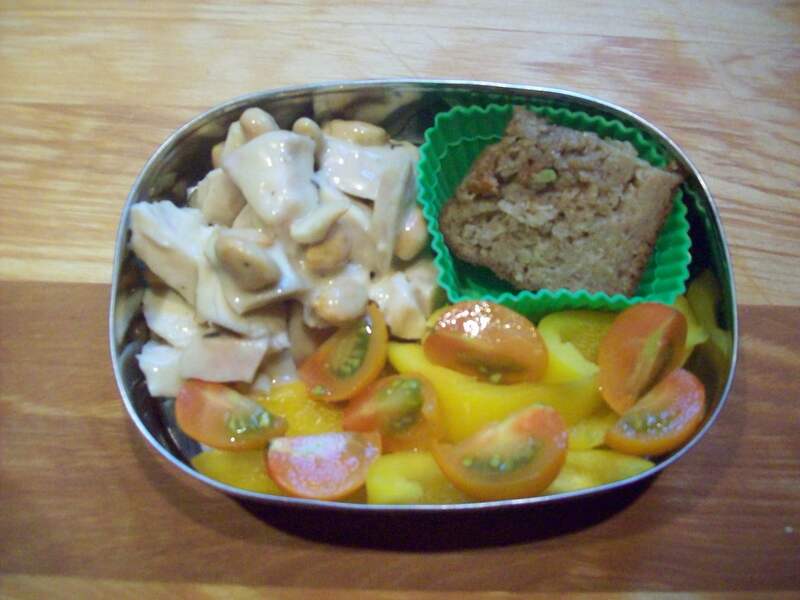 Most of them are also made with mayonnaise, which can not only be a bit heavy but also present a bit of a food safety issue if not stored properly in the lunchbox. This chicken salad is different. It’s not loaded up with mayonnaise, it comes together in seconds, it combines flavors that the whole family will enjoy, and it’s customizable. I’m calling it fruit and nut chicken salad because you can put both fruit and nuts in it; but for my boys, actually, one likes the nuts and the other prefers the fruit. Luckily it’s so simple to throw together on a busy morning that they can each have what they like. Combine chicken, nuts, and fruit in a medium bowl. Carefully fold in yogurt, honey, and mustard until evenly combined. Season with salt and pepper, stir well, and serve. My boys enjoy this alongside some woven wheat crackers or homemade pita chips. 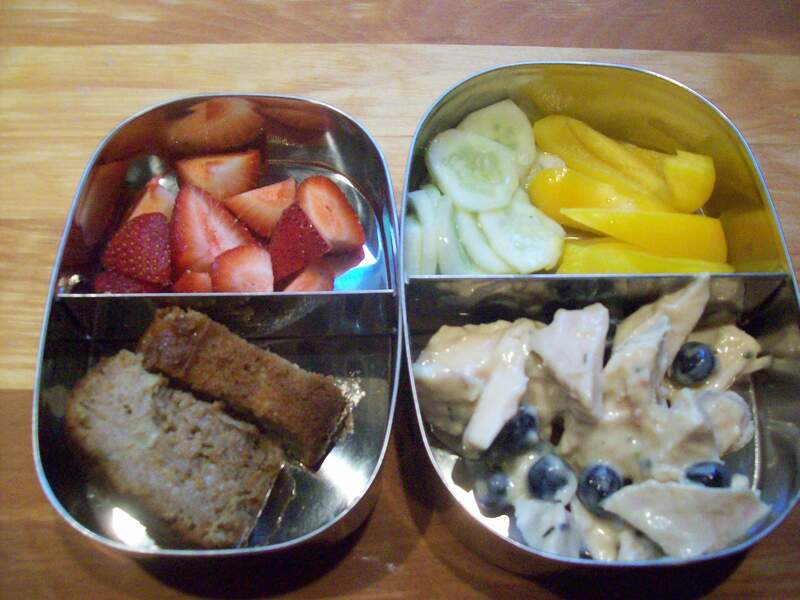 Fruit and nut chicken salad for the other kid — with blueberries this time, but no nuts. Served here with banana-zucchini bread, strawberries, cucumbers, and peppers.